As part of the NATO Summit in Brussels, Azerbaijani Foreign Minister Elmar Mammadyarov and Defense Minister Zakir Hasanov met with US Secretary of State Mike Pompeo and Defense Secretary James Mattis, the Azerbaijani Foreign Ministry said in a message July 12. The sides expressed satisfaction with the level of partnership between Azerbaijan and the US. 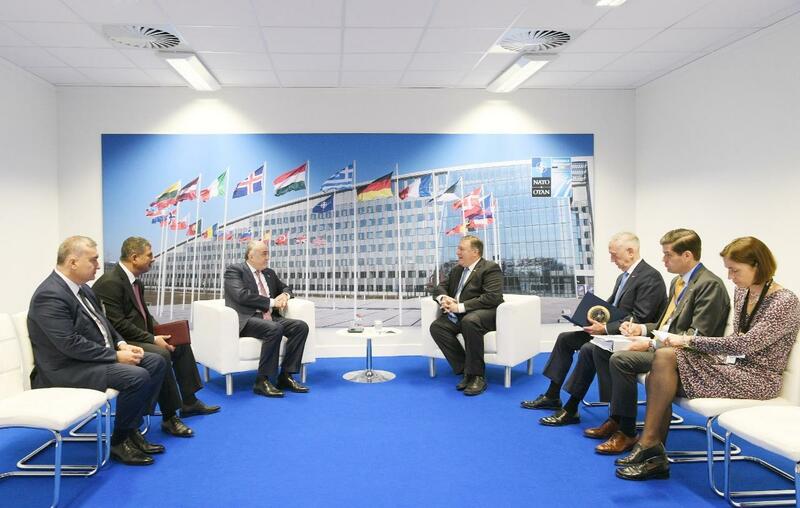 Mammadyarov noted the importance of supporting the territorial integrity and sovereignty of Azerbaijan, reiterated in the final communique of the Brussels Summit of NATO. During the conversation, an exchange of views on regional issues took place, and the US side expressed gratitude to Azerbaijan for supporting the NATO Resolute Support Mission in Afghanistan and the fight against terrorism. Mammadyarov informed his colleague about the meeting with Armenian Foreign Minister Zohrab Mnatsakanyan in Brussels with the participation of the OSCE Minsk Group Co-Chairs on July 11. Mammadyarov and Hasanov invited their US colleagues to visit Azerbaijan, and they accepted the invitation with satisfaction. The meeting was attended by US Assistant Secretary of State for European and Eurasian Affairs Wess Mitchell, Director General of the US National Security Council Fiona Hill, Azerbaijan’s Ambassador to the US Elin Suleymanov and acting head of the Mission of Azerbaijan to NATO Gaya Mammadov.